If you read our impressions yesterday of the SteelSeries Apex Gaming keyboard, you know I was quite impressed with the build quality and features of the product. 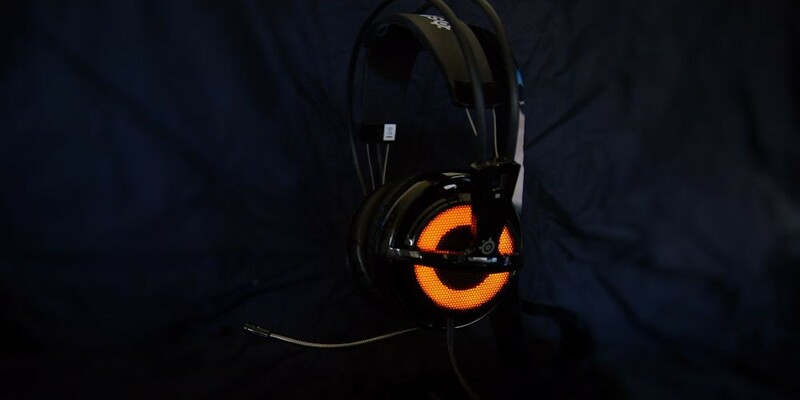 Today we'll be looking at another quality piece of gear from SteelSeries, the Siberia V2 Heat Orange headset. The Sibera V2 Heat Orange Edition is based on the same design as previous Siberia headsets and comes packed with many of the same features with a few exceptions. The biggest and most obvious difference is the glowing earcups, powered by 16 orange LEDs, they slowly pulsate by default. There's also an integrated USB soundcard which means you simply plug in the headset to a USB port and you are good to go. The Siberia V2 are a closed headset design, which means it'll block out most of the surrounding environment sound while on. During my time with the headset I found it light weight and comfortable thanks to a very flexible suspended band that goes across your head and generously padded ear cups. The cord out of the box is pretty short - only 3 feet in length which is perfect if you're gaming on a laptop. It was difficult for me to sit back in my chair though at my desk while wearing them. Thankfully included in the box is a USB extension cord adding an additional six feet to the cable. I really like this flexibility, not being hampered with an obnoxiously large cable unless you absolutely need it. Audio wise you've got two 50mm drivers in the ear pieces that provide some pretty decent sound. I found during sessions of Warframe to be able to spatially detect audio without a problem while the Siberia V2s did a good job of not muddying up the in game music and sound effects. Voice chat with my partner works well thanks to the retractable microphone with noise cancelling ability. Honestly I think the microphone design is one of my favorite things with this headset. It simply slides into the left ear piece and when you pull it out you can flex it into any position to get it in front of your mouth. 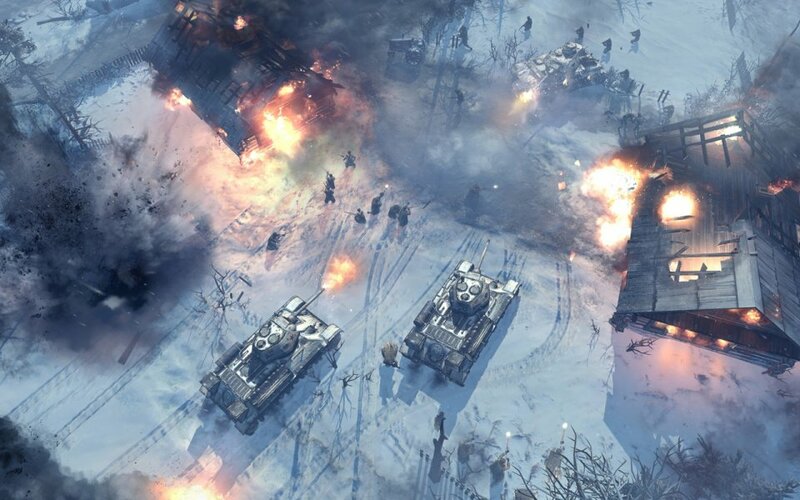 I also tested the headset with Company of Heroes 2, a game that I think exemplifies powerful audio design. While the bass was a bit on the weak side, the audio quality was still top notch. Gunfire was directional and powerful, explosions had solid depth to them, and character voice was clear and not muddied. 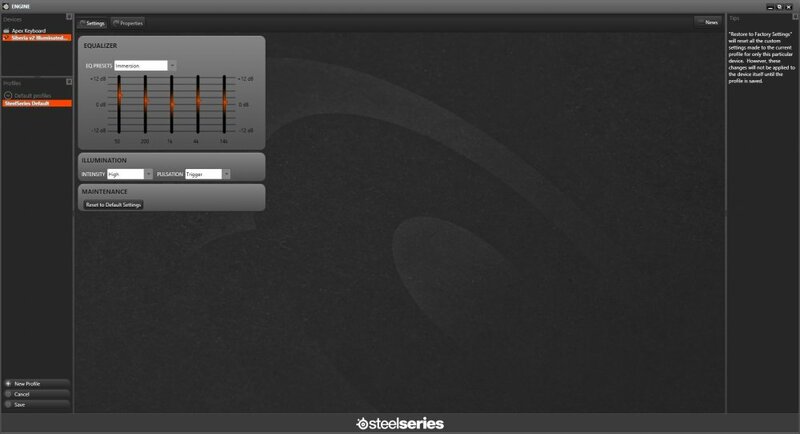 The Siberia V2 doesn't need any special drivers to work, but it does integrate with the SteelSeries Engine software allowing you to change EQ settings - I found the "Immersion" preset to sound the best for gaming. You can also change the intensity and style of the LED lights on the headset. One unique and somewhat gimmicky feature allows you to trigger the light flashes based on sound. Overall the Siberia V2 Heat Orange Edition is a great all in one package for co-op gamers. The single USB plug that gets you both voice and audio is simple and effective. The sound quality is solid and the features are basic but serve their purpose well. The Siberia V2 Heat Orange Edition is out now and can be purchased from Amazon or SteelSeries directly for $119.99. The hardware in this impressions piece was provided by SteelSeries for evaluation purposes. Page created in 0.5293 seconds.